The Port Ewen Athletic Association is a non-profit volunteer organization that was incorporated in Port Ewen, New York on August, 21 1974. The reason for its organization was two-fold. First, to provide entertainment, enjoyment and the physical improvement of its members, encouraging participation in athletics and physical recreation. Second, to develop good citizenship and promote the interests of the residents of the Village of Port Ewen. Shortly after its inception, the P.E.A.A. established a recreational basketball league for the local kids. Games were held two nights a week using the local school gymnasiums. Today, they proudly fill those same two gymnasiums in addition to a third gym four nights a week for games. The league offering now includes an instructional league for 5-8 year olds, a younger division for boys, ages 9-12, an older division for boys, ages 13-18 and a girls division ages 9-18. In the mid to late '90's, the organization decided to increase its community involvement and created a recreational soccer league. As the popularity of this sport grew throughout the US, the P.E.A.A. seized the opportunity to introduce soccer to their community. 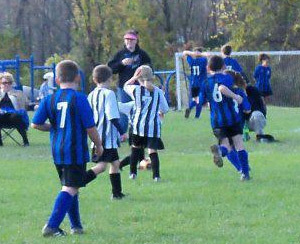 Games were held on Sundays and split between two different local soccer fields. In 2007, with help from the school district and donations from many local businesses, the P.E.A.A. was able to install the proper drainage needed at it's main location. They now play up to four games at a time on Sundays throughout the spring and fall. A special thanks goes out to the Town of Esopus and the Kingston City School Board for all of their support throughout the years. 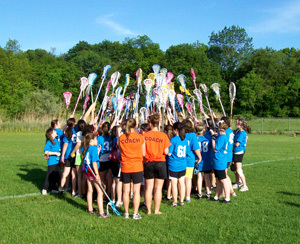 In 2010 an opportunity presented itself to develop an instructional girls lacrosse league. Lacrosse, at the time, was the fastest growing sport in America. This was an opportunity the PEAA could not afford to miss. A committee was created to work through all the details. With the support of Coach Eaton, Coach Munger and the Varsity KHS Girls Lacrosse players, the league began to take shape. Registration was opened up to any girls in 3rd through 8th grade in the Kingston City School District. In its first season, the league was a huge success, with registration reaching over 60 players. Today, girls lacrosse is a highly successful travel league playing at tournaments throughout the area. 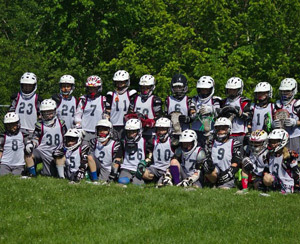 In 2014, interest was raised about starting a boys lacrosse league. They too have been very successful since their inaugural season.